The Anil Ambani managed Reliance Communications is up to something big, its new ‘Simply Reliance Plan’ simply signifies its big plans. Since the time Reliance launched its telecom venture it has consistently stood out among mobile operators because of its simple yet awesome plans, here it brings us another one.Simply Reliance is a plan for both the prepaid as well as postpaid subscribers on RCom’s GSM and CDMA networks. This plan offers a flat rate of 50 paise per minute and per SMS across the country and across all operators be it mobile or landline. The company has promised that this plan comes with no hidden charges or daily deductions. Reliance Communications’ Chief Marketing Officer, Personal Business, Nilanjan Mukherjee, told reporters. “There are no conditions applied. This is not one of those where we show a headline rate and if you try to actually interpret it, actually comes to three times the cost, the single rate of 50 paise per minute applies to all local and STD calls as well as any mobile landline, CDMA or GSM from anywhere in India, existing or new pre-paid customers have to purchase a one-time special tariff voucher for Rs 48 to enjoy lifetime validity, however, post-paid users can migrate to the plan by paying a monthly subscription fee of Rs 99,” Mukherjee said. RCom also confirmed that the group will phase out all the existing plans by mid October and offer only the new plan to all prepaid and postpaid users. 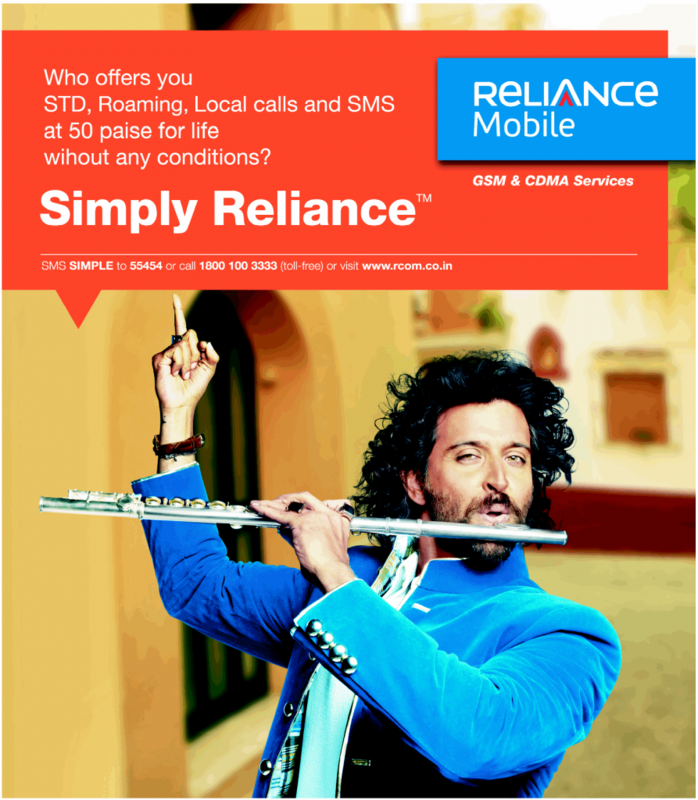 Existing Reliance subscribers can get this plan by 1800-100-3333 or by SMSing SIMPLE to 55454.